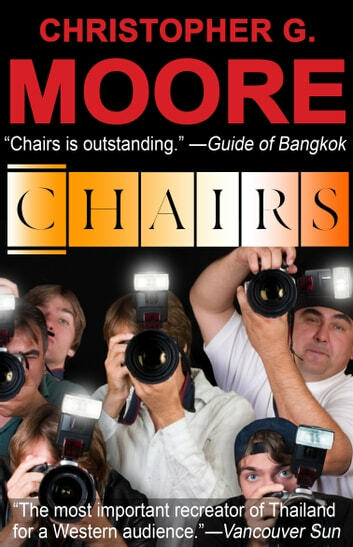 Chairs is a collection of sixteen original stories. Each Saturday morning, over coffee, the members of Chairs gather to share the latest gossip, scandals, myths, dangers, exploits, and loves that bind together their small community. Sam Kohl, narrator of the main stories, reveals, with perfect timing and ingenious twists, the clash of cultures as expats meet Thais, Chinese, Karen, and Burmese. Chairs is a search for redemption. Along the journey—from the Oriental Hotel to the jungles of Burma—is a vividly created world populated by adventurers, body snatchers, executioners, dreamers, collectors, diplo-mats, mistresses, ghosts, and war veterans.